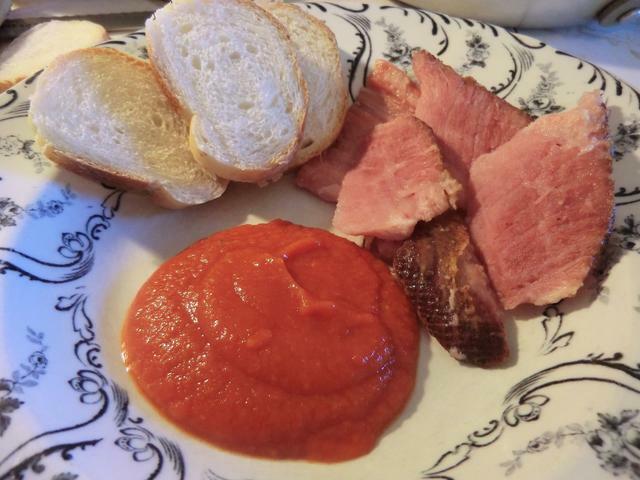 tomato paste | Cooking is Fun … Really!! I first tasted this dish at a very expensive restaurant in Chicago while visiting there with some friends. We stayed at the Renaissance Blackstone Hotel, in walking distance of other famous landmarks including the Art Institute of Chicago, the Field Museum, the Shedd Aquarium and the Adler Planetarium which we visited. We even walked all the way to the Water Tower Place for some window shopping. It was a memorable visit long before my mobility issues. 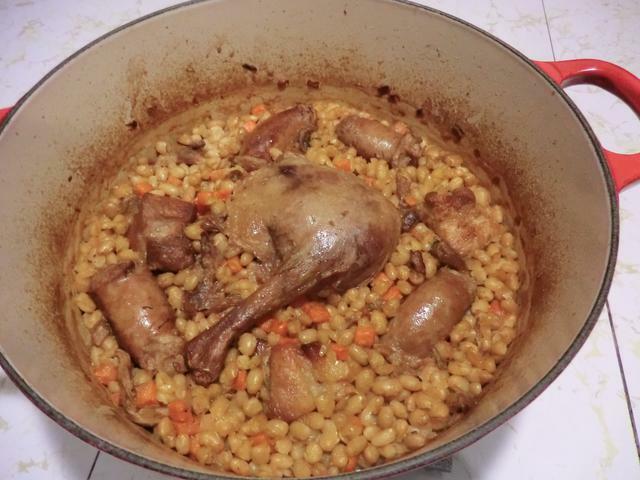 For a simple French peasant dish, there are a lot of ‘expert’ opinions on what you should and shouldn’t do when making this glorified pot of baked beans. 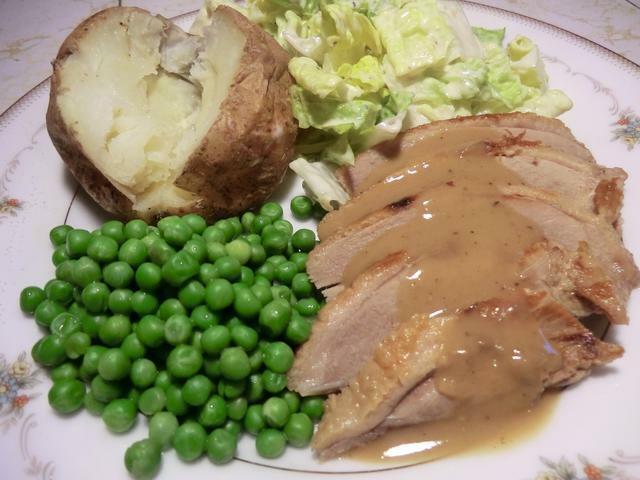 As you know, for Christmas dinner, I roasted a duck very simply and sliced and froze away both breasts, one of the legs, the carcass and some trimmed meat from the back. I had visions of a hoisin duck wrap with the breasts. 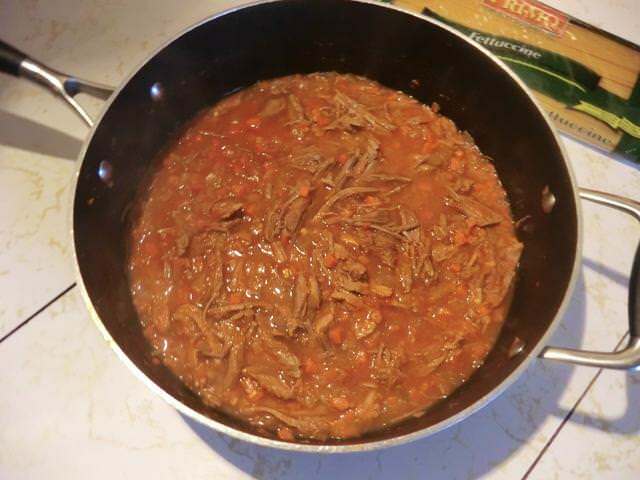 And with the leg … well, I made duck gravy with the drippings and froze that away as well. 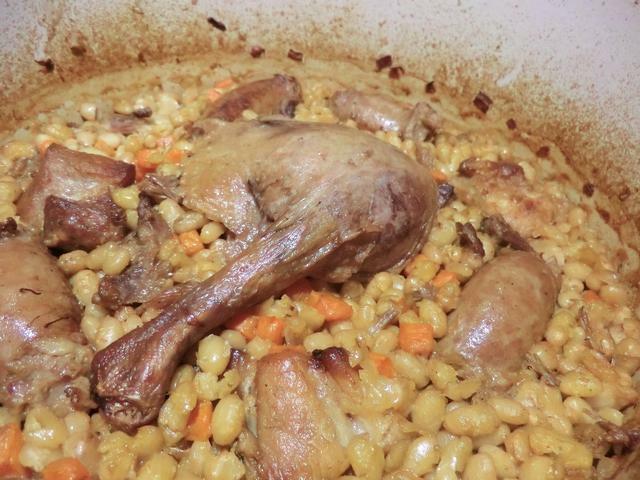 I can’t remember exactly WHY I decided to make a duck cassoulet. I think I saw one posted on FB and had an A-HA moment. 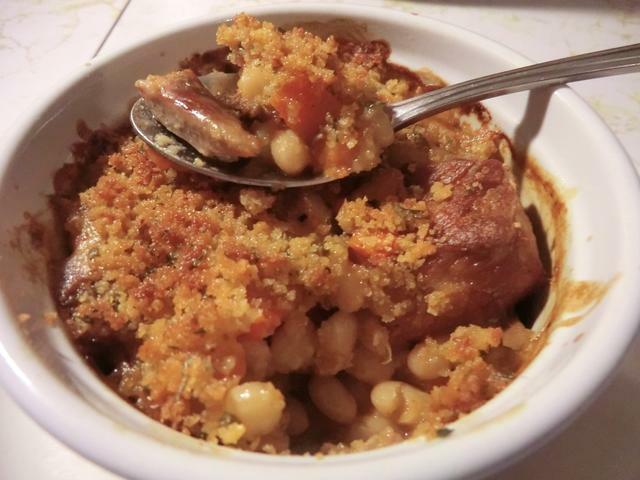 In any case, since I’m home this week and snow was predicted midweek, I thought it would be the perfect time to give the cassoulet a try. Step 1: Soak the beans – This step and the next can be eliminated if you buy canned beans. Drain and rinse well and go straight to Step 3. In this instance, I added a generous tablespoon of salt to the soaking liquid as I wanted to see if that would affect the cooking time. It’s also been suggested that this will give the salt more time to penetrate the beans and flavour them. 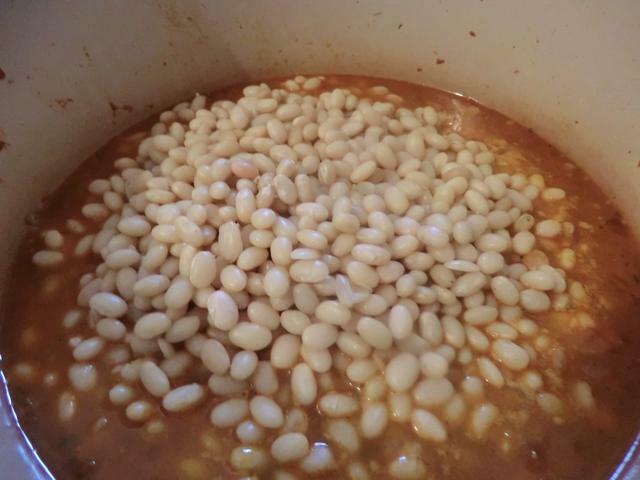 Step 2: Cook the beans – You don’t have to cook the beans until they fall apart, just until they’re no longer crunchy, as you’ll be cooking them some more with your meats. Step 4: Prepare the crust – This step is also a matter of debate. 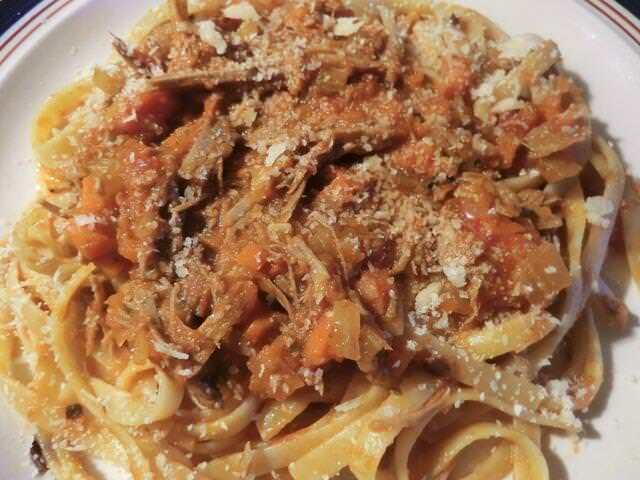 Some cooks swear by a crunchy crust made of fresh bread crumbs fried in duck fat, spiked with garlic (fresh or dry) and fresh, chopped parsley with a bit of stock to moisten it before it’s spooned generously over the top of the cassoulet. 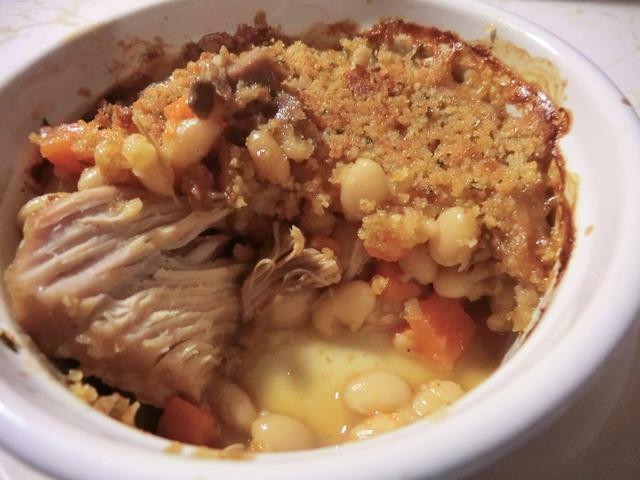 Pat the crumbs down gently and bake your cassoulet until the top is brown and crunchy. For other cooks, a ‘natural’ crust formed by the broth as it cooks down is preferred. I was GOING to make the breadcrumb topping but then found myself with only 2 TBSP of breadcrumbs in my breadcrumb jar and no bread in the house/freezer that I could make more out of. I was too lazy to run to the local bakery and buy breadcrumbs so I made a single portion of the cassoulet in one of my ramekins with the breadcrumbs I had. Step 5: Assemble and bake – Use a casserole dish large enough to hold all your beans, meats and enough liquid to just cover the beans. You will bake the contents for at least an hour until the beans and the meat are cooked through and then uncover and continue cooking to reduce the amount of liquid. You’re not making a soup but you DO want some liquid left. 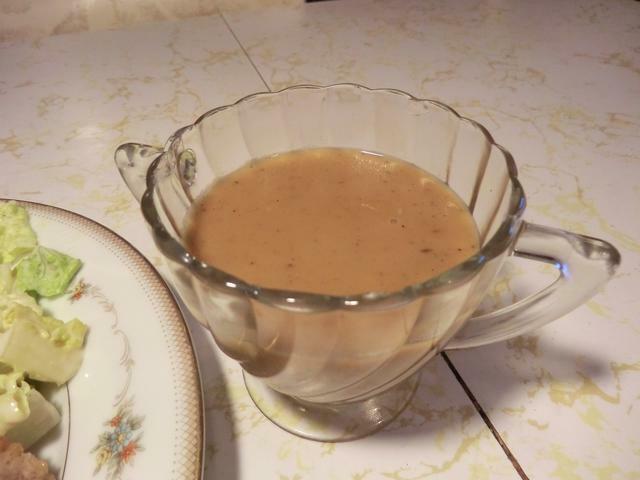 If your bean mixture gets too dry, you can spoon some of the reserved bean cooking liquid or stock over each individual portion before serving. 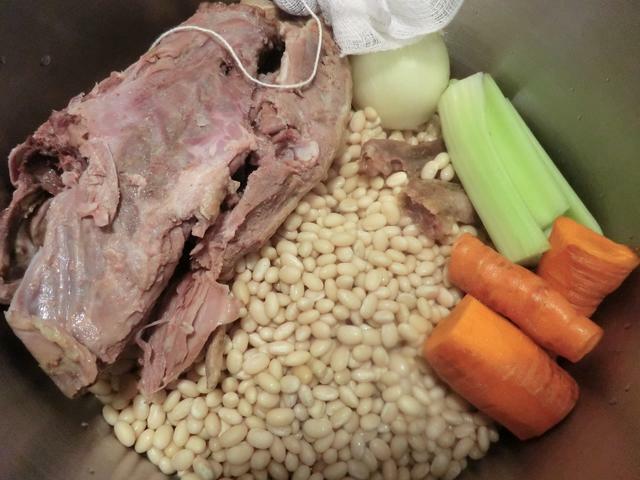 In a large stock pot combine the soaked navy beans, water, duck carcass and bouquet garni. Bring just to the boil, skim off any scum that floats to the top, reduce the heat until the contents are just simmering, cover and cook 45 min to 1 hr or until the beans are just barely tender. 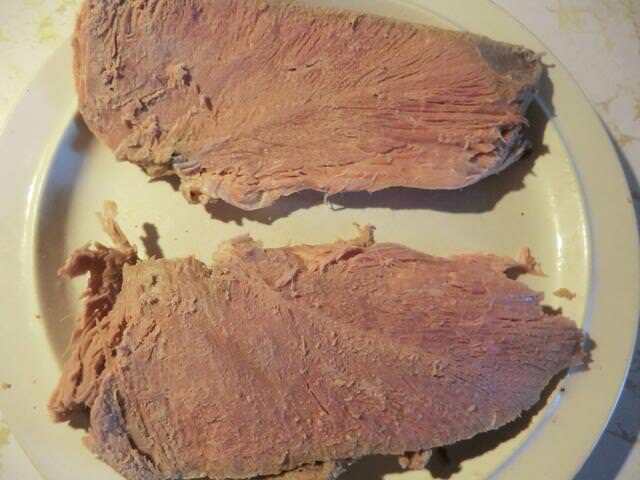 Remove the carcass to a bowl. Let cool and pick off any meat from the carcass which you’ll add to the cassoulet during the assembly. 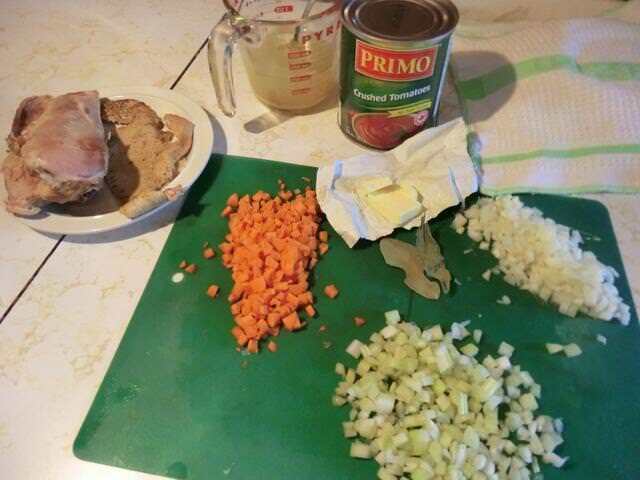 Remove and discard the bouquet garni, onion, carrot and celery pieces. Drain the beans, reserving the cooking liquid for assembling and cooking the cassoulet. Place a large dutch oven on the burner set to medium heat and when hot, add the trimmed off rinds from the pork belly. Render out the pork fat and then add the meaty cubes of pork belly. 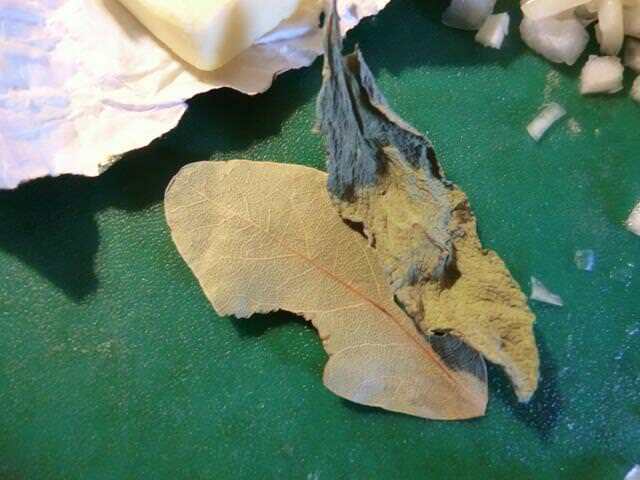 Brown on all sides then transfer to a large dish. 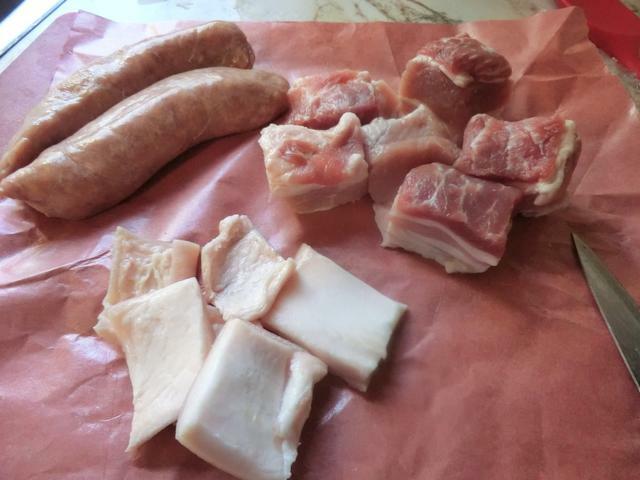 Brown the sausages on both sides, cut each into 2-3 pieces and add to the dish with the cubes of pork belly. 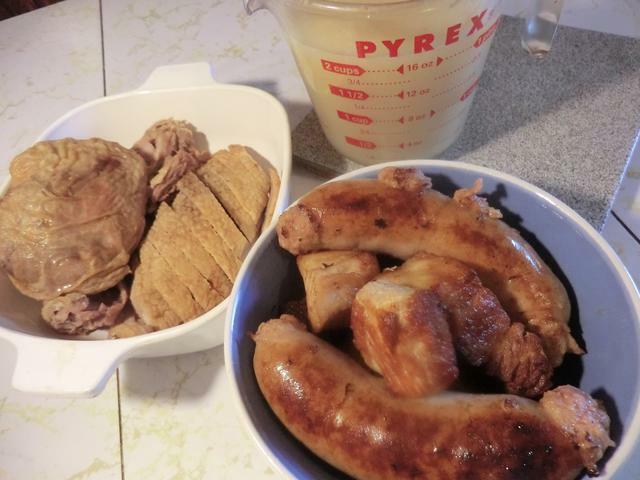 Drain off all the pork fat from the casserole. Add 2 tbsp duck fat to the casserole and saute the diced onion over medium heat just until the onion is soft but not browned. Add the minced garlic and saute for another minute or two. 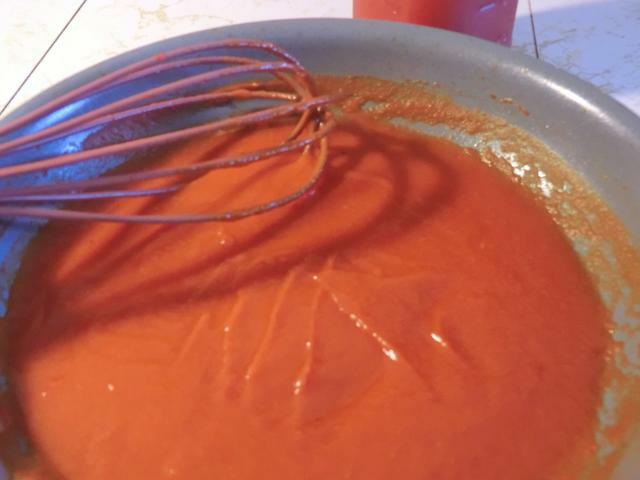 Add the tomato paste and cook for a few minutes to dry out the tomato paste. Add a cup of the bean cooking liquid/duck stock and scrape up browned bits from the bottom. Add the beans and as much liquid to just cover the beans. 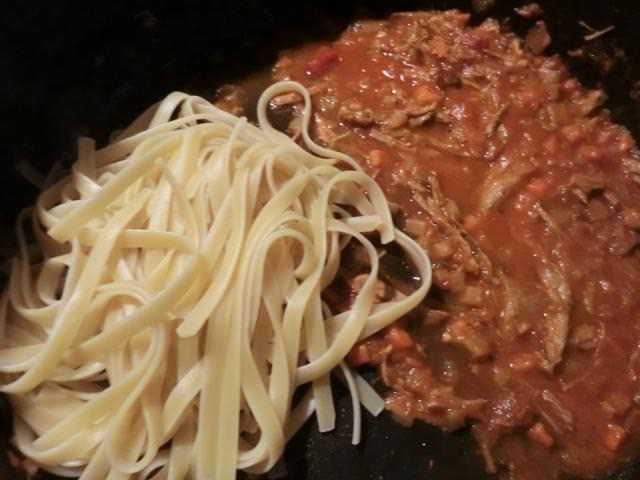 Nestle the meats into the broth, bring to the simmer and then cover the dutch oven and transfer to the preheated oven. Cook for an hour. Prepare the crumb crust by toasting the garlic in the duck fat, if using fresh minced garlic, in a large saute pan. Otherwise, toast the breadcrumbs, dried garlic powder and the dried or fresh parsley in the duck fat. Add a splash or two of bean cooking liquid to the pan. 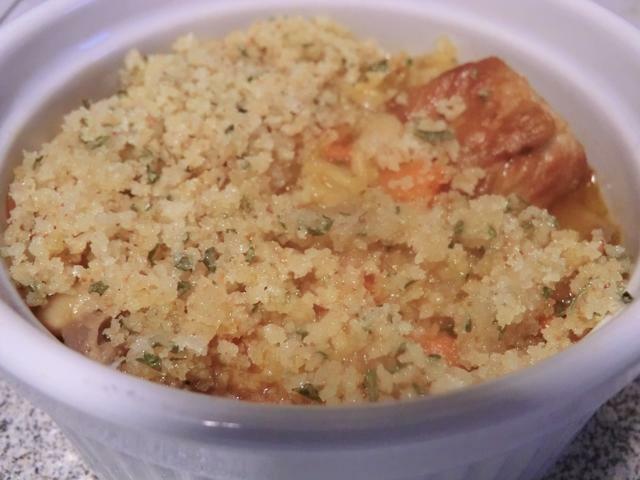 Remove the dutch oven from the oven and pat the crumb crust over the top of the cassoulet. Return the dutch oven to the oven and continue cook for another half hour or so before checking the level of liquid left. You may turn on the broiler on high for 2-2 1/2 minutes to finish the browning if your liquid has reduced enough. Check carefully as you don’t want to burn your crumb topping. Spoon into each individual bowl making sure there’s a bit of sausage, pork belly and duck in each portion. Garnish with some fresh parsley before serving.